The 2019 Relay for Life bowling fundraiser will be held Sunday, April 28, at the Pahrump Nugget Bowling Center. Special to the Pahrump Valley Times Parhump resident Tom Duryea, right, and Las Vegas Curling Club teammates, from left, Nolan Ehrstrom, Mike Partridge, Devin Brower, and Brad Whitlock, will compete in the Pacific International Cup next week in Vancouver, British Columbia. The event to benefit the American Cancer Society is designed to “bowl in memory of the loved ones lost to this horrible disease and to help create more birthdays,” according to the bowling center. The event, which will begin at 1 p.m., includes three games of 9-pin no tap and has an entry fee of $10. Half of that can be used as a charitable donation. There also will be a chance drawing and a 50/50, also to benefit ACS. While registration is open until the day of the event, participants are encouraged to register early, as lanes are expected to fill up quickly. Cash, cards and checks are accepted, with payments to be made to the Pahrump Nugget Bowling Center. For more information, contact Kathy Butkovich at 702-527-9829 or the bowling center at 775-751-6525. 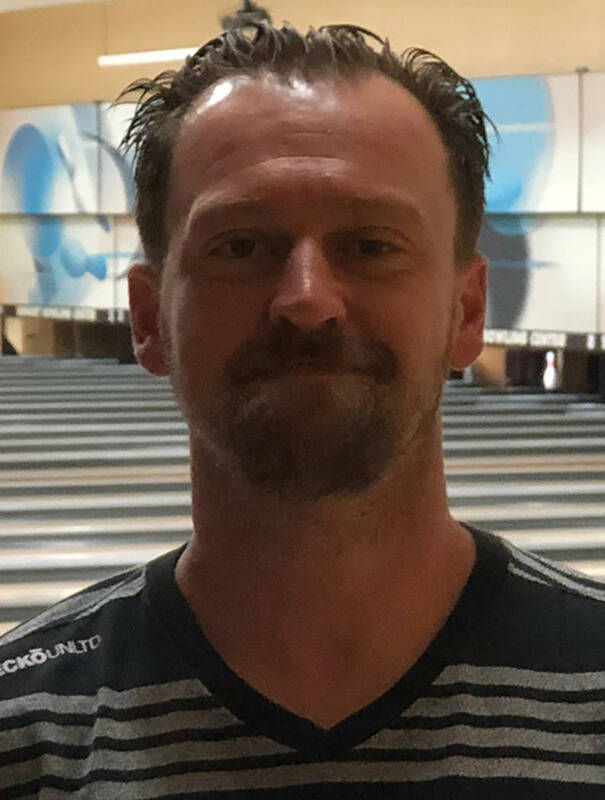 Not long after rolling his fifth and sixth 300 games, Pahrump resident Anthony Matassa completed his fourth 800 series. Bowling Saturday night at the Pahrump Nugget Bowling Center, Matassa rolled 31 strikes in the three games, rolling scores of 279, 269 and 267 for an 815 series. That marks Matassa’s third-highest series, trailing only an 816 set and an 847 he shot at the Orleans Bowling Center in Las Vegas. Two days earlier, Charity Musial rolled three consecutive 200-plus games to compile a 740 series. Musial bowled games of 238, 246 and 256 for the 740. Bowling leagues for men, women, seniors and kids are forming at the Pahrump Nugget Bowling Center. The next league to begin will be the Monday night Nugget Dollies and Nugget Gents leagues, which are trio no-tap leagues that get underway April 29. Soon after, the Wednesday Mixer (May 1), TGIF League (May 3), Pahrump Fours II and Summer Old Timers (May 7) and Coffee Club II (May 8) leagues will form. The Saturday Night Rollers go May 18, and the popular Summer Kids League begins June 5. There are leagues in the morning, afternoon and evening, and leagues play every day but Sunday. For registration information and specifics on each league, call 775-751-6525. 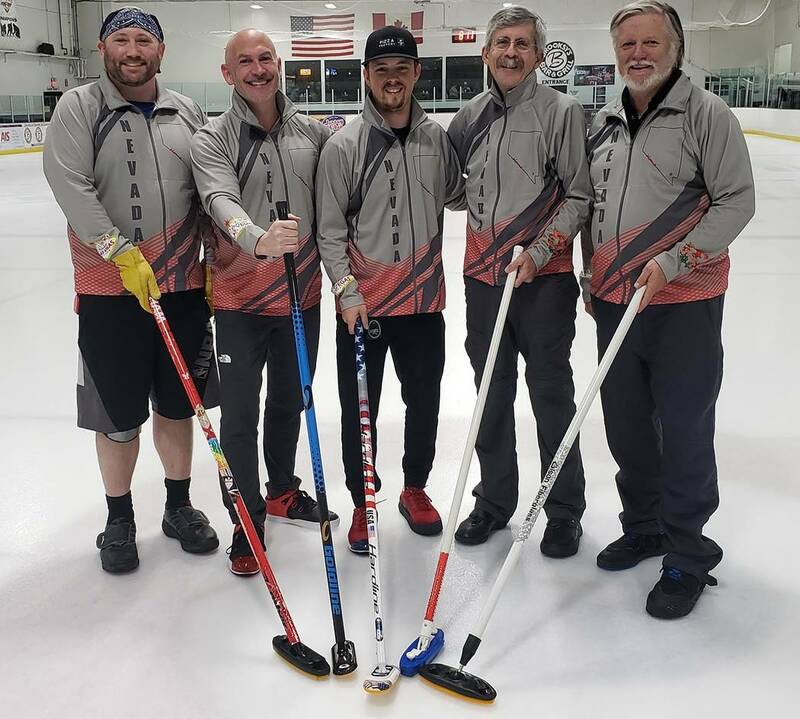 Pahrump resident Tom Duryea’s curling team, having won the Nevada state championship in January in Las Vegas, heads to Vancouver, British Columbia, next week to compete in the Pacific International Cup. The Las Vegas Curling Club team, which includes four Las Vegans along with Duryea, will play two games per day in an event that runs from Wednesday through Sunday. Men’s teams in the bonspiel include groups from Alaska, Arizona, California, Michigan, Oregon and Washington from the United States; British Columbia and Yukon from Canada; and Australia and India.